Because there are so many islands, there are more than 50 major airports in the Philippines. However, only few are landing points for incoming international flights. These include Manila (MNL), Cebu (CEB), Davao City (DVO), Clark/Angeles City (CRK), Iloilo (ILO), Boracay-Caticlan (MPH), and Bohol-Panglao (TAG). Manila, being the capital of the Philippines, entertains the most international flights daily. It's Ninoy Aquino International Airport has three major terminals, and is actually located in the city of Pasay - just 15-20 minutes away from the actual city of Manila. The next nearest airport is Clark International Airport in Clark/Angeles City, which is only about a 1-hour drive away from the Manila Metro area. The Philippines is located in Southeast Asia (near Taiwan, Indonesia, and Malaysia), and so flying from North America, South America, Africa, Europe and other parts of the world is quite a distance. Fortunately, there are many airlines that fly to the Philippines from these places, including a few that are actually based in the Philippines. In just 1-3 flights, a person can reach the capital city of Manila in about 15-20 hours from anywhere in the world. A person traveling from Asia itself or from Australia is much closer. A flight from Japan, Korea and most parts of China would only take 4-5 hours. A flight from Hong Kong or Taiwan would take just 1.5 hours, and a flight from Australia would take just 8-10 hours. A trip to the Philippines from countries located in Western Asia and the Middle East, such as India or Saudi Arabia, would take anywhere from 8-10 hours depending on the origin. Many foreign airlines fly non-stop to the Philippines, including Saudi Airlines (from Riyadh), KLM Airlines (from Amsterdam), Qatar Airlines (from Doha), United Emirates (from Dubai), Korean Airlines (from Seoul), Asiana Airlines (also from Seoul), Japan Airlines (from Tokyo), Singapore Airlines (from Singapore), AirAsia (from Kuala Lumpur), and many others. There are only two American-based airlines that fly to the Philippines. Delta Airlines flies daily from the United States to the Philippines with a stopover in Tokyo, Japan and Nagoya, Japan. And, United Airlines has daily flights from Manila to the U.S. Territory of Guam. In the past, Hawaiian Airlines had weekly flights from Manila to Honolulu, but that route has been discontinued. 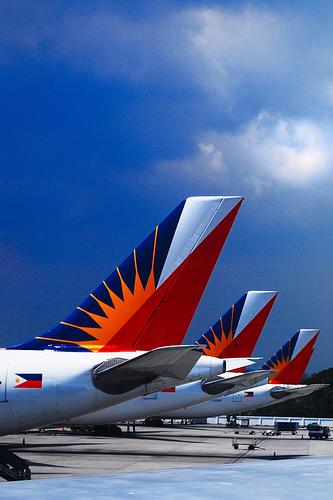 Major airlines that are based in the Philippines and fly international and domestic routes include Philippine Airlines (the country's oldest airline and second biggest), Cebu Pacific Air (the country's biggest airline), PAL Express, Southeast Asian Airlines (SEAIR), ZestAir, and Skyjet Airlines (one of the newest). 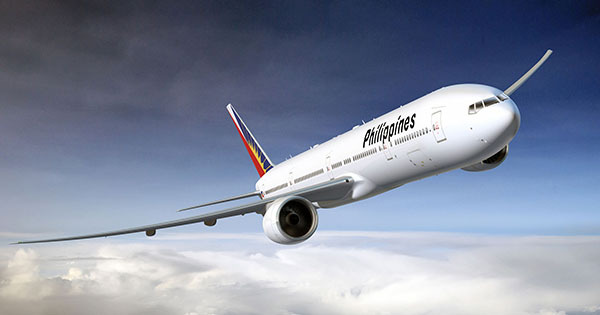 Philippine Airlines is the only airline that flies non-stop to Manila from the United States (Los Angeles and San Francisco), and from Canada (Vancouver).